The remarkable discussions started by the famous Hindu monk, Vive Kananda, were the topic of interest in intellectual circles yesterday. * Especially so was his comment on the work of American missionaries in India, and his strong defense of his own people and morals and religion. 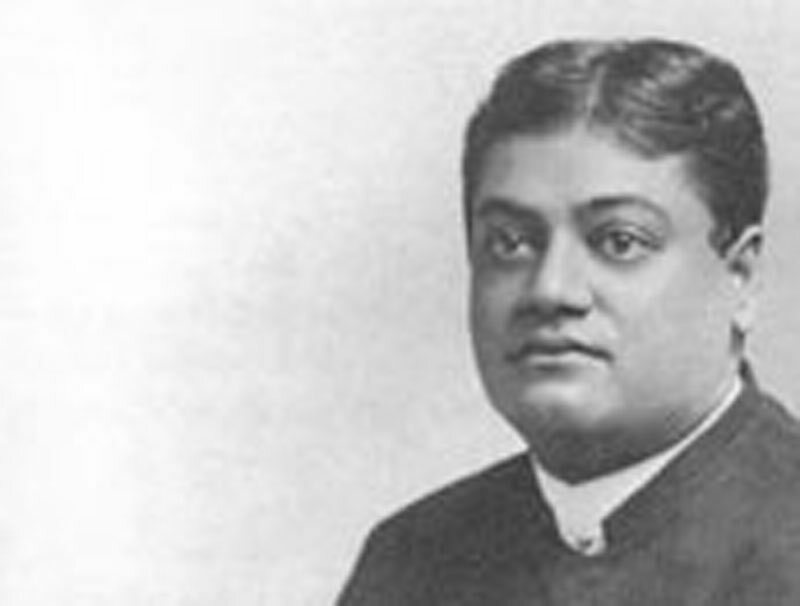 His position is that the people of India do not need any more religion, but training in the practical things of life that will enable them to cope with the English who have occupied India. Vive Kananda was the guest of Mr. F. W. Lehman and Mr. O. H. Perkins yesterday and in their company visited the state house, which he very much admired. He took a special interest in the portraits of the American Indians that he saw there. . .